Introducing the newest Fashion Valors by Dirty Teacup Designs: Zoe & Julie from Zombies Ate My Neighbors! 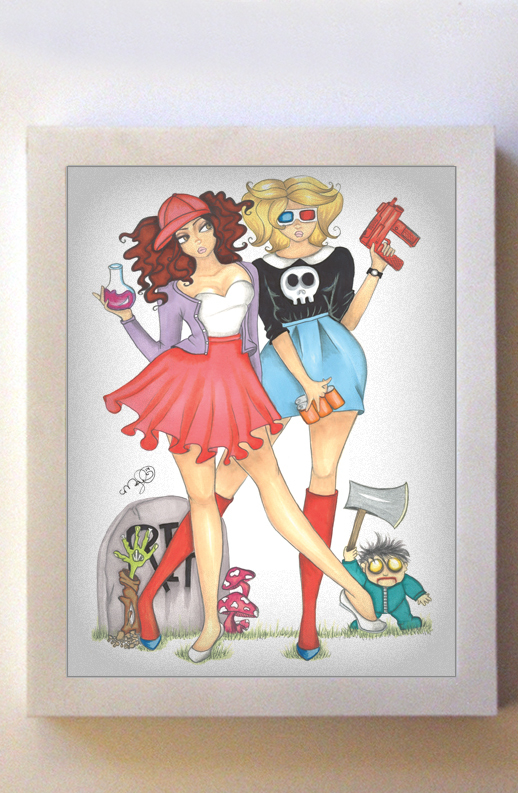 The Fashion Valors collection is a fashion illustration style set inspired by heroic horror film/videogame characters. 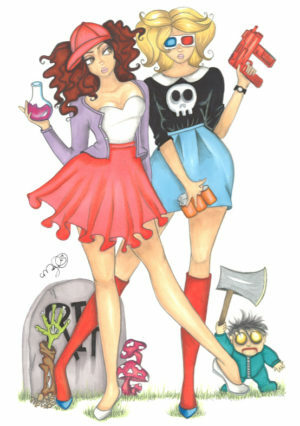 This illustration features “Zoe” & Julie in the company of Tommy the Evil Doll wielding his ax & Zombie rising up from the grave! Zoe’s ready for them with her classic Squirt gun & Soda pop cans; Julie is ready to down a monster potion & really wreak havoc! Card is 5″x7″ high quality card stock and comes with a black envelope. Back of the card is their names. Inside of the card is blank so you may write your own sentiment. 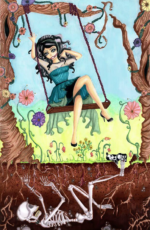 The original art was made with markers, technical pens and colored pencils by Dirty Teacup Designs. It was scanned and adjusted slightly to produce a beautiful print. SHIPPING: Package will be shipped flat in a protective envelope. A USPS tracking number is provided in the shipping cost. Wholesale and custom orders available! 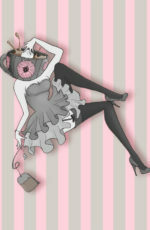 Check out the other Fashion Villains, Victims & Valors cards by Dirty Teacup Designs here.